Thanks for the follow up. Everything is awesome. I felt a little akward for about 5 miles but as soon as I settled in I found myself keeping pace with the guys at the front. The whole ride I continued to be conservative because I thought I might be riding a little beyond my abilities. However, I never wore down and finished strong. As a matter of fact I busted out the last mile at about 28 mph. I did a threshold test yesterday and was able to increase my power over my last test by about 50 watts during the 20 minute test. That is huge for me. 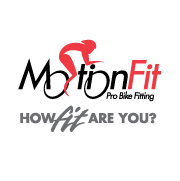 Some of that is fitness gains but a give the bike fit credit for some of the gain as well. Also, my upper body is much more relaxed. I am actually able to relax my arms and upper body even more when I am giving maximum effort which allows me to put the power to the pedals with my legs without tiring my arms, neck, back, and shoulders. I think I will continue to ride at these settings for another month and then I will implement the additional changes that you and I spoke about to get me in a even more productive posture. Thanks again for a very professional and productive experience.